Have you ever stood at the baggage carousel at the airport, watching the belt clunk it’s way around and around with one lonely bag left? One bag that isn’t yours? I have. On too many occasions. I have been lucky enough to always get my bags back eventually, but there are those bags that seem to vanish into thin air. What becomes of them, you ask? 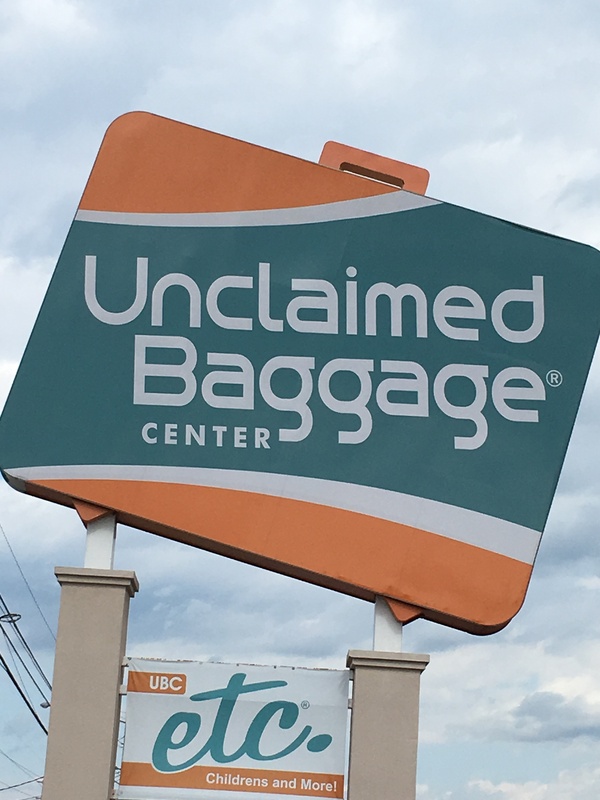 They end up in Scottsboro, Alabama at the Unclaimed Baggage store. Very few pieces of luggage go missing in the US. I think on average, about 1%. The airlines make every effort to find the owners of each piece of luggage. But some are untagged. Some remain abandoned. And this is where Unclaimed Baggage comes in. They buy pallets of suitcases from all major airlines, sight unseen. What’s inside amazes me. Lots of designer dresses, party dresses, shoes, cameras, books, jewelry, etc., etc.. You know — the things you’d take on vacation. The new dress you bought for the occasion. Dress-up clothes for a night out. That’s not what you’d usually find in my luggage, but it seems to be the norm for other people. I was amazed by the vast number of labels I saw as I wandered the store. Seriously, if you need a party dress, this is the place to come! 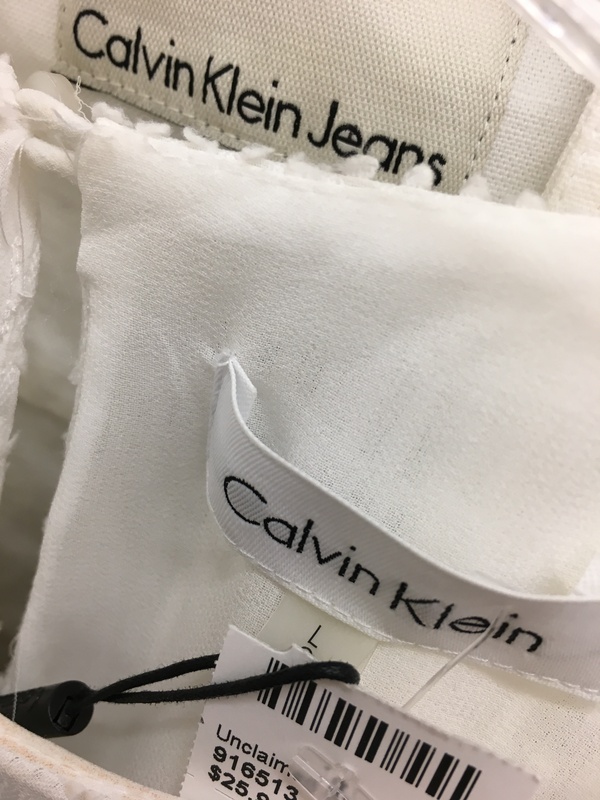 I wandered over to the shirts and saw one Calvin Klein label after another. And Marc Jacobs. Even Prada. All for about a third of the retail price. 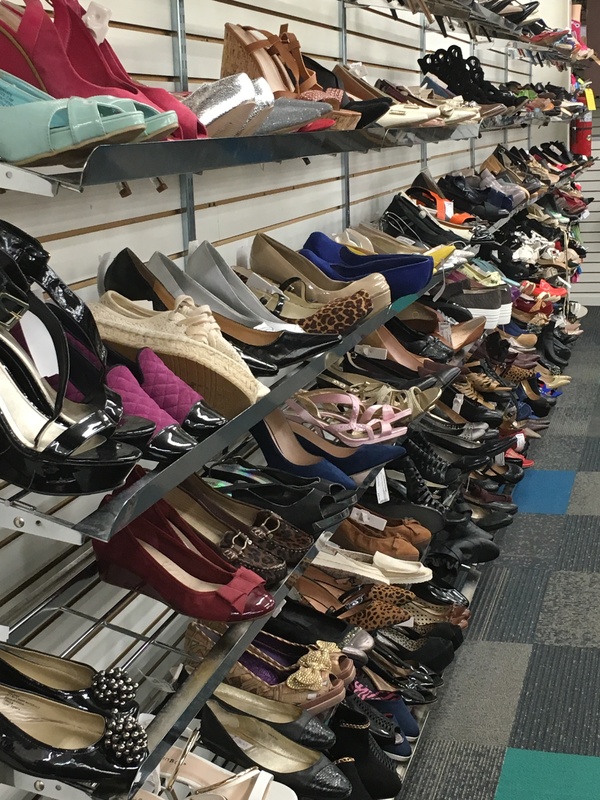 And of course, where there are dresses, there are shoes. 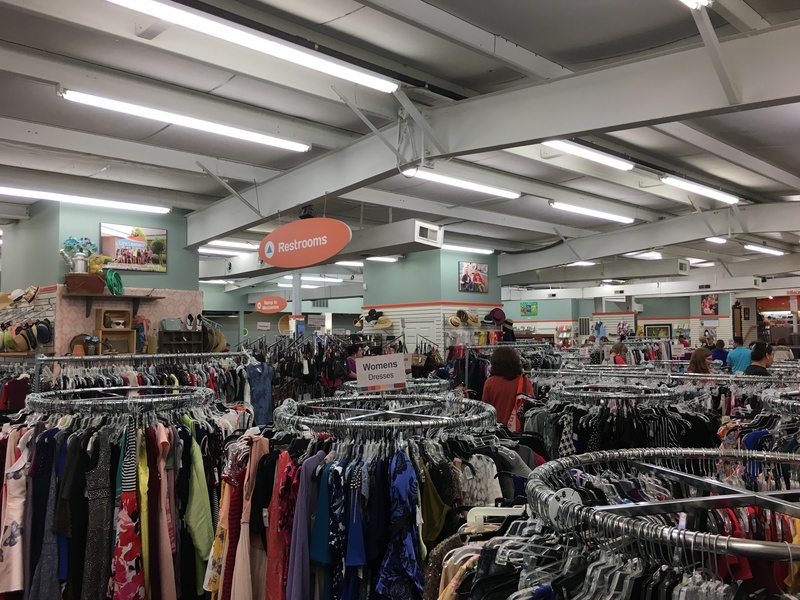 I love a good thrift store. While this isn’t quite the same, it does hold the same hodgepodge collection of items from around the world. You never know what you’ll find there. And the best part? You can easily buy a piece of luggage to take all your newfound treasures home. Any chance your luggage has ended up here? Conversely, what would you shop for? I’ve always wondered what happened to baggage that doesn’t find its owner and I guess this is an (the?) answer right here! I’m glad to know they don’t just get dumped somewhere because it would be such a waste, especially with all those designer labels. It’s something I’d never given any thought until I heard about this place. It’s so hard for me to fathom that in this day and age a bag doesn’t find its owner, or an owner gives up on a bag filled with dresses, cameras, sports equipment, etc.. Then again, there is flight insurance, and maybe they collected their money and shrugged it off. Fun read and creative take on travel. I have traveled quite a bit for business . I have a theory . Baggage handlers have a fake bag that they always toss out on the belt for the first one. Why do I think so? Because I rarely see anyone grab the first bag! This is an interesting hypothesis, but what do you think is the purpose of having a fake bag to put out first? To get people excited to think that their bag is coming soon? Haha! Good point. I never do either. Me, too, Curt. Sometimes waiting at baggage claim seems even longer than the actual flight. It’s annoying. But I do eventually get my bags. Those poor pieces of luggages, lost or abandoned by their owners. I didn’t know there was a place for those that are never claimed. How were the prices? The prices were good! About 1/3 of the normal price is what they advertise, but I felt like it was actually much less than that. Great questions, Roy! I should have asked those while I was there. There’s got to be some built-in protocols. Especially in our litigious society. Wow, what a fascinating look into what other people are carrying (and losing) while traveling! This also made me think about what a lot of STUFF we have in this world. A brilliant anthology (if I can call it that)! Especially thought ‘Stockings’ extremely poignant. Exactly! I can’t imagine not trying to track down my ‘stuff.’ But maybe some people just finally give up hope that it will turn up.